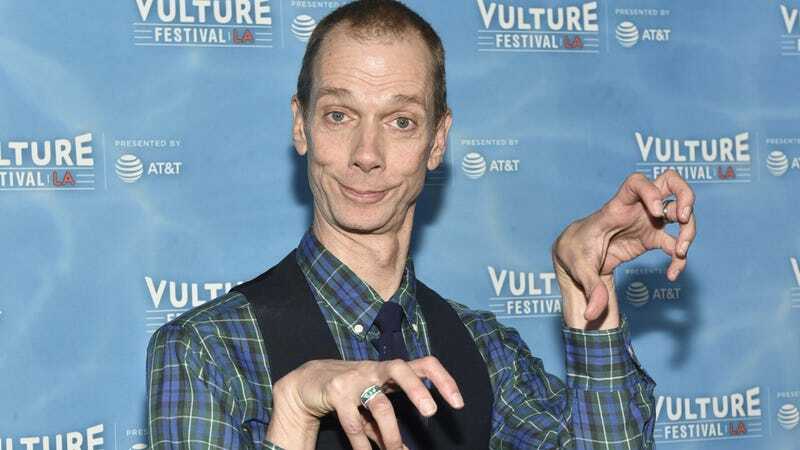 Fresh off one of his most prominent roles yet—as the good-butted gill-man at the center of Guillermo Del Toro’s Oscar-nominated The Shape Of Water—prolific character actor and physical performer Doug Jones has scored a lead role in the upcoming U.S. TV version of Taika Waititi’s What We Do In The Shadows. Per Variety, Jones is the biggest of several names that were added to the FX pilot’s cast today; he’ll be joined by Beanie Feldstein, Jake McDorman, and Mark Proksch. It’s not clear yet what role Jones and his new fellow cast-mates will take on the show, an American adaptation of Waititi’s mockumentary about vampires attempting to exist and update their techniques for modern times. (If we had to hazard a guess, Jones’ penchant for dramatic physical transformations might make him a shoe-in for the show’s equivalent of the Nosferatu-esque Petyr, although who really knows what kind of monster he might be roped into playing at this point?) The FX series is one of a few WWDITS expansions Waititi is putting together; there’s also a TV series back in New Zealand, and a proposed sequel film still in the works.